Journal of Nutritional Science is an international, peer-reviewed, online only, open access journal that welcomes high-quality research articles in all aspects of nutrition. The underlying aim of all work should be, as far as possible, to develop nutritional concepts. 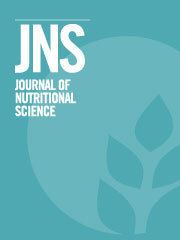 JNS encompasses the full spectrum of nutritional science including public health nutrition, epidemiology, dietary surveys, nutritional requirements, metabolic studies, body composition, energetics, appetite, obesity, ageing, endocrinology, immunology, neuroscience, microbiology, genetics, molecular and cellular biology and nutrigenomics. JNS welcomes Primary Research Papers, Brief Reports, Review Articles, Systematic Reviews, Workshop Reports, Letters to the Editor and Obituaries. Why did the dinosaurs become extinct? Could cholecalciferol (vitamin D3) deficiency be the answer?